LONDON—Citizens from Northumberland to Hampshire are buzzing with excitement as Queen Elizabeth II, 82, formally announced that she is expecting the arrival of another baby, just 532 months after giving birth to Prince Edward, Earl of Wessex. The British monarch and her consort, Prince Philip, Duke of Edinburgh, 87, confirmed rumors Tuesday that the queen recently entered her second trimester, and that a little Baron or Baroness of Renfrew is on the way. England's royal couple, who were married in 1947, said they were "absolutely delighted" to be having their first child in more than four decades. "I'm so thrilled to be pregnant again," said Queen Elizabeth II, who gave birth to her first son shortly after Great Britain granted India its independence. 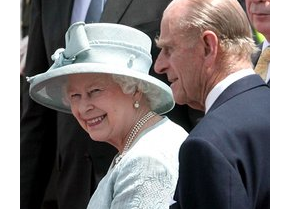 "Prince Philip and I have wanted this for many, many years. The entire United Kingdom has been blessed by this tiny little miracle." Guide: Pregnancy Tests - Learn how they work, when to take them and much more.